The yarn I'm using is Merino Angora Silk DK (8 ply) by Cleckheaton that I purchased at Crumbz in Healesville :-) It's a very interesting yarn to work with, it's super light weight, but super warm. I've made a few other things using this yarn and I really love them (a cardigan, a 3/4 sleeve sweater & a loom woven scarf). 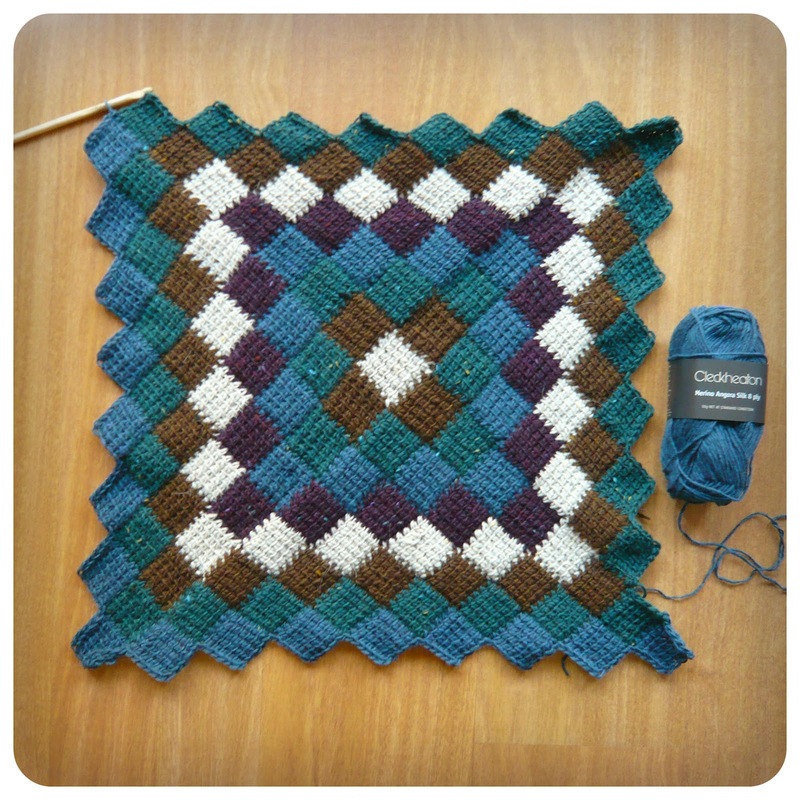 I've been loving entrelac crochet too! Such a great technique and I love the geometric quality.